Japanese aesthetic values and senses are to be found everywhere in this country, yet we, Japanese, do not seem to be aware of many of them. The unique culture has been cultivated and developed over the cycle of four seasons which has been repeated for a long time. Japanese cuisine would attract gourmet fans from all over the world; exquisitely crafted pieces are to represent Japanese artistry and penchant for perfection. It is fair to say that these authentically Japanese qualities are treasured and cherished by the whole world, as well as by Japanese. 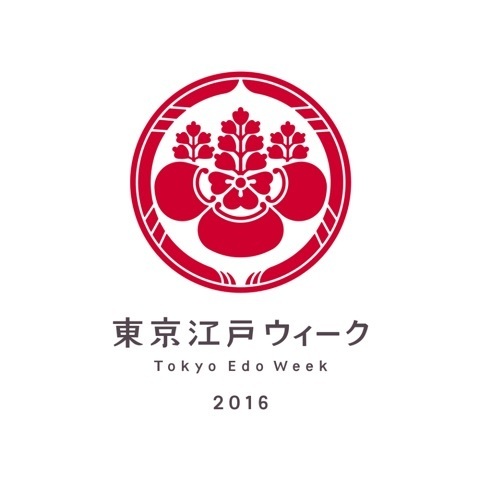 Tokyo Edo Week is the world’s biggest festival where people gather and have fun in Japanese dress. 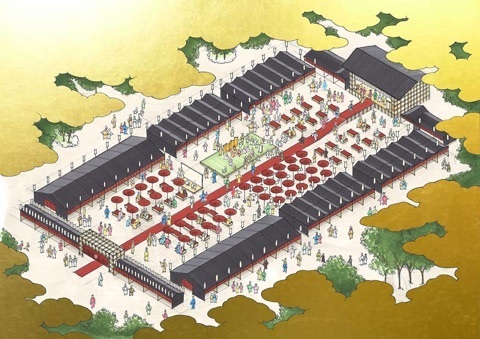 It will be presented in a way that the guests would feel as though they have travelled back in time to the EDO period. Through proudly presenting this experience, we hope to pass down our invaluable cultural heritage of Japan to our next generation. 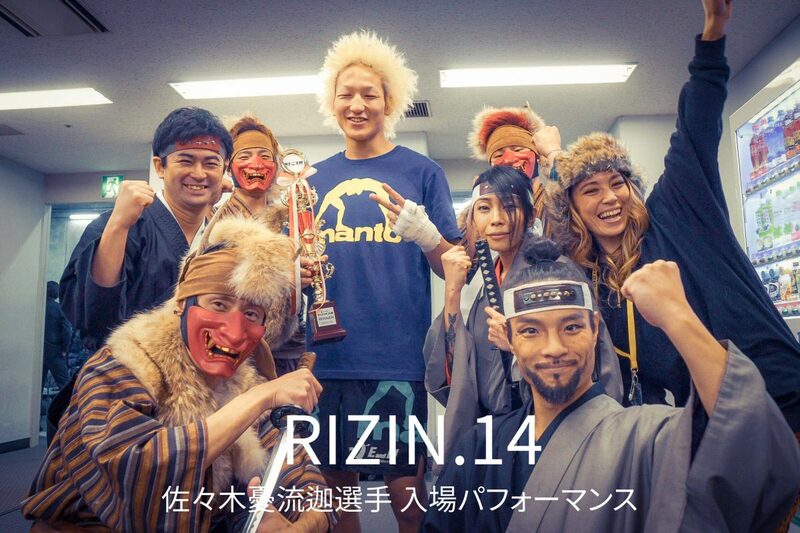 The concept of the main venue is to create the atmosphere of EDO streets. Using Japan traditional items such as ‘NOREN’,　’CHOCHIN’and ‘BANGASA’. Passing through the huge ‘NOREN’ at the entrance gate. Toward the center stage, centering the 70 meters ‘HANAMICHI’, are surrounded by food, exhibits and experience booths. ‘NOREN’ is installed to each booths eaves. Stand type ‘CHOCHIN’ are placed to the pillar of each tent. Public square blending Japanese element such as, custom made ‘BANGASA’ placed as objects, Tatami-floored multipurpose area etc. The main color scheme are constructed by red and black Japanese lacquer color. The Whole atmosphere will be completed by comers with various color of ‘YUKATA’. Aiming to create and fascinating space, which have never been seen as conventional event space. Copyright © 武楽(ぶがく)-BUGAKU- | Samurai Art All Rights Reserved.